Blown a fuse in Tyldesley? 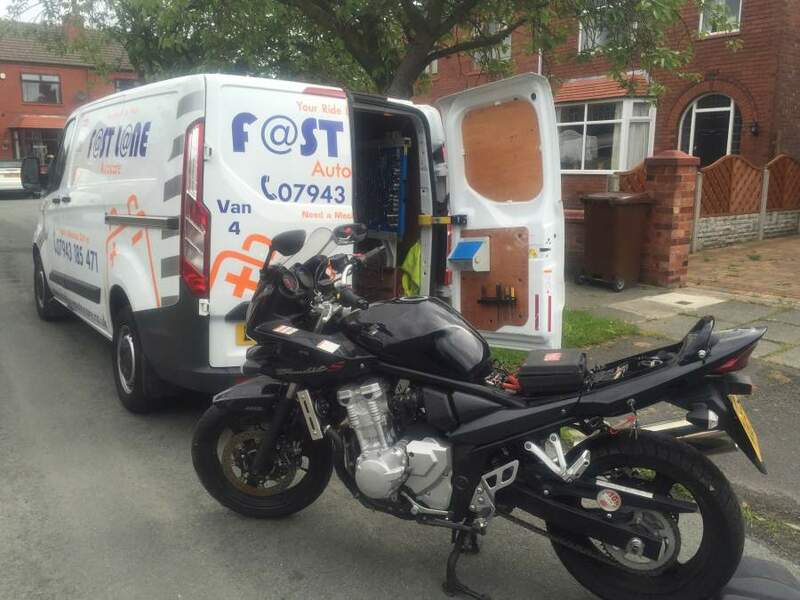 Fastlane Autocare is an established, locally owned auto-electrical specialist company covering Tyldesley. We have over ten years' experience of dealing with vehicle electrics. Along with the extensive range of diagnostic equipment we hold and use, we are confident that we can solve any electrical issue or fault. We guarantee a fast and effective, professional and reliable service to get your vehicle safe and running again! We make everything so simple - from our online inquiry system, to our professional and friendly customer service, everything is done to make our Tyldesley auto electrical services as seamless as possible. From the moment you choose Fastlane Autocare to assist with your vehicle's needs, we are able to offer an email confirmation and an arrival time of your mechanic, as well as copies of vehicle reports (paper or electronic versions) and of course a practical solution to get your vehicle road ready! If we have to take your car to our Manchester based workshop for an extensive but rapid repair using fixed equipment, why not visit one of Manchester's famous attractions or points of interest while we repair your vehicle? Other great ideas to do while your vehicle is been repaired in our care, may include and visiting Manchester united football Club, The Manchester Cathedral, The Manchester City Hall, Town hall, Manchester Airport, The Famous Trafford Centre, Manchester Art Gallery, Manchester City Football Club, Piccadilly Railway Station, China Town, The great pub & restaurant scene, The PrintWorks, The National Foot Ball Museum, Royal Exchange Theatre, The Apollo Or stay over in the stunning Hotels Manchester have to offer. Why not visit the Museum of Science and Industry, Manchester Museum, National Football Museum. We can fix your vehicle whilst you visit any above attraction.